For something a bit different from my normal fare of late, here are some pictures of a Japanese speed trap I took a couple of years ago. 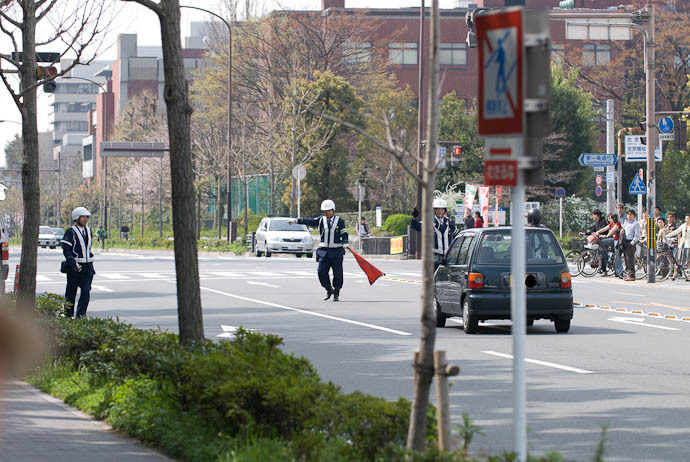 In front of Kyoto University where lots of college kids are, well, being college kids, it's not at all uncommon to see a speed trap set up here. 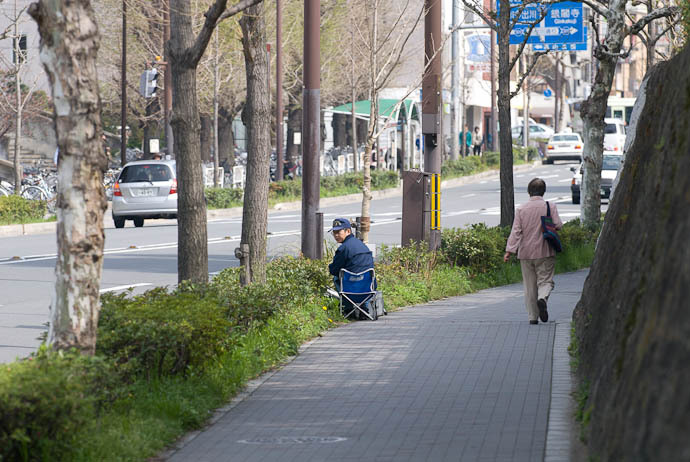 He's actually checking the color of the license plate of a scooter that just passed. If it's white (meaning it has a 49cc engine) the driver will get a ticket. If yellow or pink (larger engines, up to 124cc), they're okay. H A L T ! And I see a scooter there too, so maybe he did have a live one in the second photo. 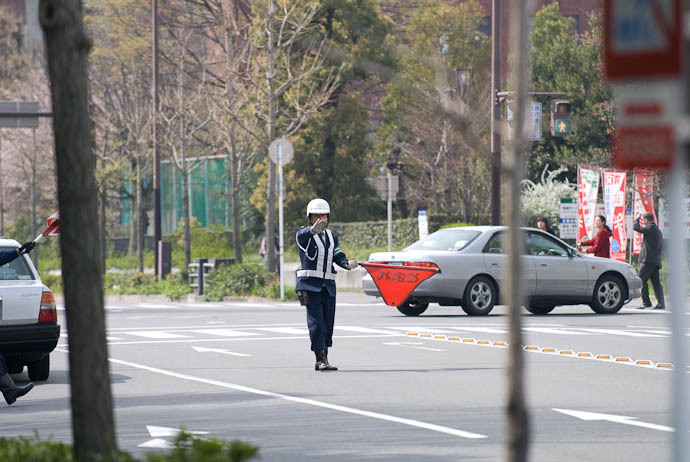 The first time I ever saw a policeman stepping into traffic with the big orange “Stop” flag to nab someone, it was right in front of me on a crowded slow-moving four-lane major thoroughfare in Kyoto (Sanjo St., near Higashiooji St.). He stepped right in front of my car with a seriously agitated, angry pissed off look, and having no idea what was going on other than I had apparently done something really bad, my adrenaline shot through the roof. And just like that he stormed past, intent on someone in the lane next to me, a car or two behind. Pretty much needed a change of shorts after that. 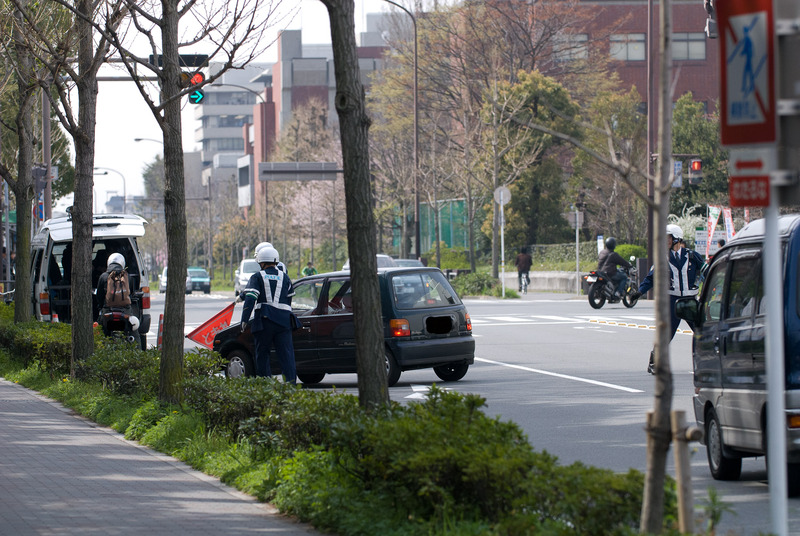 I did get a speeding ticket once, about 15 years ago, while riding my motorcycle in the countryside between Nagaokakyou and Takatsuki. I was just going with the flow of traffic, which happened to be traveling at a somewhat more reasonable pace than the 31mph limit. 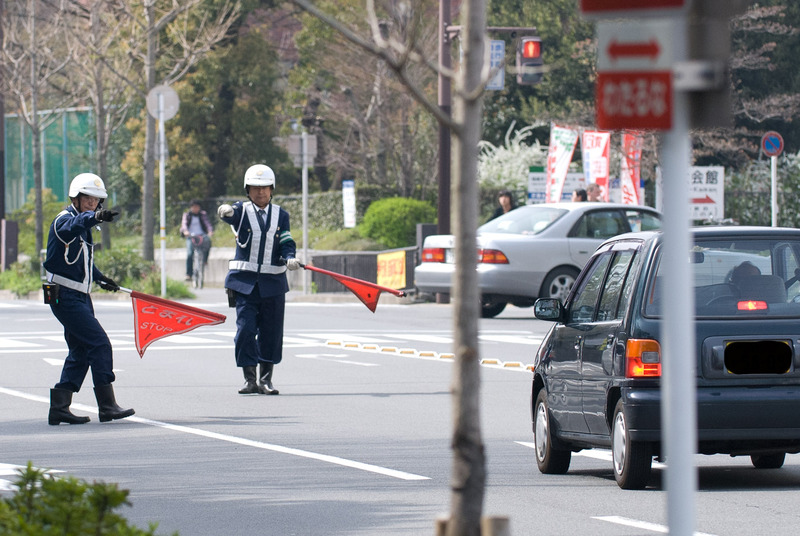 I found out then the other half to the Japanese approach to speed enforcement. The half I knew was that enforcement is very lax, as if no one really cares, and your chances of getting pulled over for speeding (or running red lights, for that matter) is almost nonexistent. The half I learned that day was that if you do get pulled over, you're totally screwed. Can you explain this? Why is the smaller engine in trouble? Too small to be on a real street? Or is it an emissions thing? 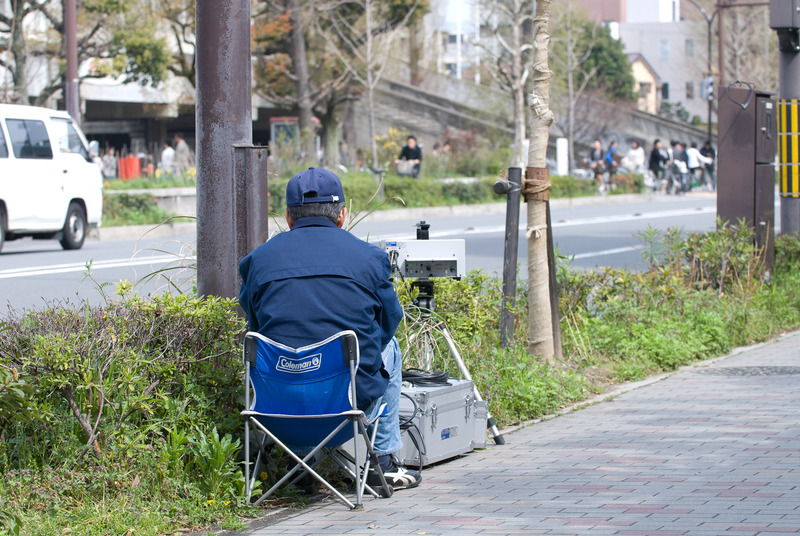 Agree the enforcement of speed limits is….odd. Once when I had an MR2, I was on the Nagoya Expressway, doing about 110 kph in a 60 zone. A truck that was following moved aside and bam! there was a black & white. Thought I was totally nailed, but got off with a warning. Next scene several years later and driving a Camry variant on a narrow rural road, doing 60 kph in a 40 kph zone. Was motioned over to what I thought was a soberity checkpoint. Nope, and it cost me 5 man, I think. My friend got nabbed on the highway with one of the cameras where they send it to you in the mail. The funny part is that it was his Japanese girlfriend’s car which was registered to her father. You can imagine his face when he got the ticket and saw to Gaijinns in the photo! 🙂 Your blog makes me miss living in Japan!